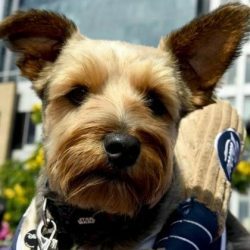 Join FACE and fellow animal advocates on Friday, July 26th for our annual Padres Game Fundraiser! You can help raise funds for pets in need of emergency veterinary care while rooting for your favorite team. PRICE: $44. 25% of the event proceeds will benefit FACE! FACE proudly works with over 130 veterinary hospitals throughout San Diego County. Veterinary partners make FACE’s work possible by generously discounting their services for qualified FACE patients by at least 25%, and helping to fundraise whenever possible.